The end of July sees the return of our monthly Ranking Battle events, with one slight change to the schedule. All of our Smash games are now being held under one roof, taking place on the 4th Saturday of each month alongside Rivals of Aether and Pokken! Not only does our Smash scene benefit from joining together, this means our FGC RanBat will be packing in even more of your favourite games and events, with our TO’s hosting a free Tekken 3v3 tourney this month to start things off. If you are interested in running a bracket for any game for future events, please feel free to let us know and volunteer! 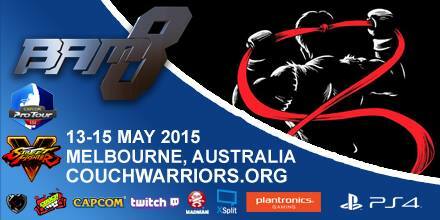 View the full brackets on Smash GG for FGC here and Smash Bros. + ROA here. See below for the current year rankings to date. Read on after the break for this month’s winners. CouchWarriors returned for more RanBat action in June, with players coming back refreshed after last months huge turnout at BAM10. Now halfway through the year, it’s time to look at the current points for each of our games. View the full brackets on Smash GG for FGC + Melee here and Smash4 + ROA here. 2017 is over and the results are in! Here are the Top 4 in each game – Congratulations to all our winners! Take a look at the Results Section for the full total. Every month at the CouchWarriors Ranking Battles, the results are tallied. At the end of the year, we’ll celebrate our most consistent placers with a top of table medal. Here are the Top 3 in each game after September and October’s Ranbats. Photos from the October ranbat are below the table. Here are the Top 3 in each game after the July and August Ranbats. Every month at the CouchWarriors Ranking Battles, the results are tallied and at the end of the year, we’ll celebrate our most consistent placers with a top of table medal. Here are the Top 3 in each game after June’s Ranbat, which saw the debut of TEKKEN and INJUSTICE 2. Photos from this month are below the table. Here are the Top 3 in each game after March’s Ranbat. Here are the Top 3 in each game after February’s Ranbat. Here are the Top 3 in each game after January’s Ranbat. CouchWarriors December FINAL Ranbat results!